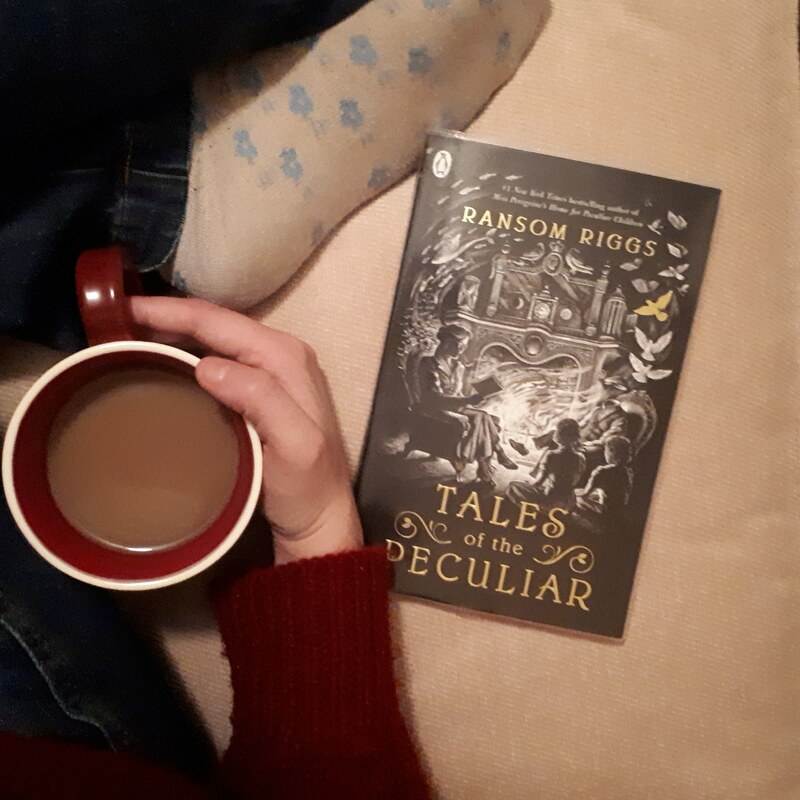 Have you read the Peculiar Children series by Ransom Riggs? It’s an awesome series! It’s a series about children who are born with “peculiarities”, like being lighter than air and needing weighted shoes, or invisibility, or a stomach full of bees. These kids aren’t safe because other Peculiars (who’ve gone bad and now want to rule over Peculiardom) want to kill them. Anyway, it’s an awesome series, set in WWII (partially) and features a whole lot of crazy and some awesome vintage photographs. Ten out of ten would recommend if you like fantasy and a bit of weirdness. My reviews for the Peculiar Children series are Miss Peregrine’s Home for Peculiar Children, Hollow City and The Library of Souls. Ransom Riggs has just bought out a fourth one, but I have the others in paperback and the paperbacks are a weird enough shape as it is, so I will wait until paperback to read Map of Days. This book is kind of the Tales of Beedle the Bard of the Peculiar world. In the first book, Miss Peregrine reads to the children from Tales of the Peculiar, it is a set of “fairytales” for peculiars. It is also one of the things the children can’t bear to be parted with until absolutely necessary some book or so later. This snazzy little tome is a collection of eleven short stories, as remembered and recorded by Millard Nullings, one of Miss Peregrine’s children. These aren’t like traditional fairytales in that the first story is about cannibals and consumerism. As Millard says in his introduction, these were part fairytale and part moral lesson for the young peculiar – such as accept your self, and some powers shouldn’t be used ect. They are short, easy to read, and fun in the way that fairytales are fun. And there are some gorgeous illustrations at the start of each new chapter. If nothing else, it’s a wonderful collection of slightly peculiar stories. Some of them are a bit gruesome (read comment about cannibalism) and others are just highly interesting ways that faintly familiar tales have taken on a decidedly peculiar turn and twist out in a new direction. It’s fun! Tales of the Peculiar is a fun addition to the Peculiar series, and if you’ve ever watched the movie or dipped into the books enough to know about possible peculiarities, it’s well worth a read!